About 20 local residents attended the first in a series of DVD lectures in the Waternish Hall last night on ‘Our Night Sky’. It would be fair to say that the audience was fascinated by the lecture although a little shocked by the amount of information. 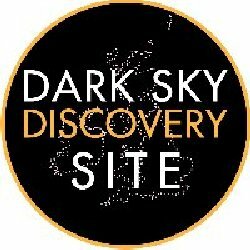 Nonetheless this has continued our interest in the heavens begun by the Dark Skies project and our Dark Skies Discovery Sites at Trumpan, Stein and Knockbreck. There are to be a further 5 evenings in the coming weeks until 13th February, usually on a Monday at 7.30 although enquire of us for confirmation of specific dates. Lectures are free but donation to Hall funds is welcome.